Demand for effective and safe weight loss programs will be with us for a long time, due to our culture and eating habits. So, why aren’t more physicians providing weight loss programs for their overweight patients? There are a few reasons. First, many doctors are reluctant to tell their patients that they need to lose weight. Second, most doctors don’t have training in nutrition. Third, most doctors don’t have the business/marketing skills to operate a profitable program. And fourth, many feel that they just don’t have the time or staff to do it. In addition, there is no AMA or clinical-sponsored course, seminar, or workshop to teach them HOW to add weight loss to their practice. There are a handful of consultants that will do it, or one can purchase a franchise for $200,000 or more. That’s why Marketdata created it’s “how to” guide, with information about staffing, protocols, marketing, billing and insurance, office set-up, meal plans, contracts, the competition, and more (see below). Adding weight loss to a physician’s or nurse’s practice is a natural fit. Patients already have a long-term relationship with their doctor, and consumers say that nurses are the most trusted profession. Doctors have a built-in client base and don’t have to spend as much on marketing and “branding” to reach these patients. Doctors are better able to address obesity-related conditions than commercial diet chains (high blood pressure, diabetes, pre-diabetes, high cholesterol, and post-menopausal hormone imbalance, for example), and can prescribe appetite-suppressing diet drugs if needed. Medical weight loss programs will have a significant competitive advantage over commercial weight loss companies such as Jenny Craig, NutriSystem, or Weight Watchers. The ACA’s Preventative Care Benefit, which took effect January 2014, mandates that insurers pay for obesity screening and counseling for people with a BMI of 30+, counseled by “qualified weight loss professionals” (MDs, RDs, PAs, nurses). This benefit is worth $1,625/year and covers up to 14 counseling sessions in 6 months. This is an unprecedented opportunity for medically supervised weight loss programs to provide a higher level of service than commercial diet centers — it’s essentially free of charge for patients with insurance. 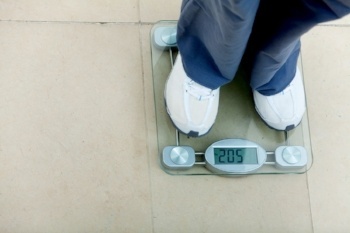 Small to mid-sized medical weight loss franchisors are growing. However, high start-up costs/investment, ongoing royalties, and parent control over how a practice is run, deters many doctors from purchasing a franchise. Consultants have proven that MDs can add $250,000 (part-time) to $1+ million per year (full-time) in revenues to their practice by adding a weight loss program, either by setting up a stand-alone weight loss center or by utilizing existing space and staff on a part-time basis. There is a shift from an emphasis on diet foods to more emphasis on behavior modification and services (counseling). Nurses are very well-suited for counseling weight loss patients, due to their backgrounds in nutrition and their inherent empathetic nature. Medical weight loss programs in the U.S. generated an estimated $7.69 billion in 2017. (more than twice the value of commercial chains). 5.6% average annual growth in this market is forecast to 2019. Marketdata forecasts that more MDs and nurses will add weight loss programs to their practice to make up for lost income and declining insurance reimbursement. Internists, general practitioners, family doctors, OB/GYNs and RNs are especially well suited to add weight loss. To learn more about this guide, check out How to Start a Medical Weight Loss Program, published in 2016 by Marketdata LLC.